The same goes for great SEO. Well, not quite. But there are a few main components that add up to a nicely optimized website. Once you understand the key components, you might even start to take a more proactive role in your SEO efforts. 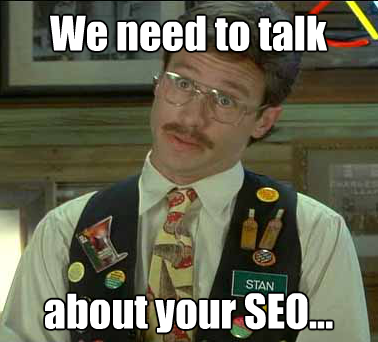 So, let’s break down our recipe for really killer SEO. When it comes to on-page SEO, we’re talking keywords (and keyword density), formatting and design, calls-to-action, unique page titles, and effective meta descriptions. Search engines are constantly changing (i.e. becoming smarter), and, right now, there is no magic formula for how to utilize these components on your web pages. Use keywords in such a way that they seem natural to the reader. If your keywords read like they would normally fit into that sentence, chances are that the search engines will agree and rank you higher in search results. Write unique page titles. This allows you to incorporate a variety of keywords. Incorporate unique meta descriptions. A meta description should be 150 words or less and will help your readers and search engines determine exactly what a given web page is about. Avoid placing too many links on each page. A good rule is to limit your links to under 100 per page. This includes your navigation bar, social media icons, advertisements, and anything else you link to in your content. If you have too many, search engines have a hard time deciphering the most important parts of your site. Add Alt Text to any images on your pages so that they will show up in the image SERP. Keep your design uncluttered with the most important information above the fold. If users come to your site and don’t find what the search engine promised them they would right away, you’ll end up being penalized in the results. The main focus of off-page SEO is to build quality links and produce social media shares. Here, quality beats out quantity, so you want to make sure that the links pointing to your site are relevant and legitimate. Check your link-backs at least once a month. Make sure your site is not producing any 400/500 errors. We’ve discussed the importance of great content before. To review, effective content is information that users actually want to read or view, which means that the information must be useful, engaging and relevant. Basically, great content makes readers want to hang out and peruse your site. But, while they are hanging out and reading your really useful content, your company is becoming more credible and authoritative. And, hopefully, those readers will eventually buy whatever you are selling. Keep in mind that effective content is not always about your company or your product. Think about what is helpful to your audience but still relevant to your industry. Plan out your posts and think creatively to come up with unexpected, but relevant, topics. Incorporate different kinds of content, like videos, infographics and Q & A’s. Use searchable titles and keywords. Use easy-to-read formatting, such as bulleted lists, sub-headings and shorter paragraphs. Is a little DIY SEO in your future? We’d love to hear how these tips and tricks have helped your site! Or, you can let us pore over your site for a bit and give you a free analysis.